The Winter Reception is an ideal time to connect with your Certified Professional Horticulturist colleagues before the season kicks-off. There will be an opportunity to share your challenges and solutions, while gaining ideas and resources for addressing and solving them! Certified Professional Horticulturist Committee Members will be in attendance to share about program highlights, goals and needs. Light appetizers and beverages will be served. 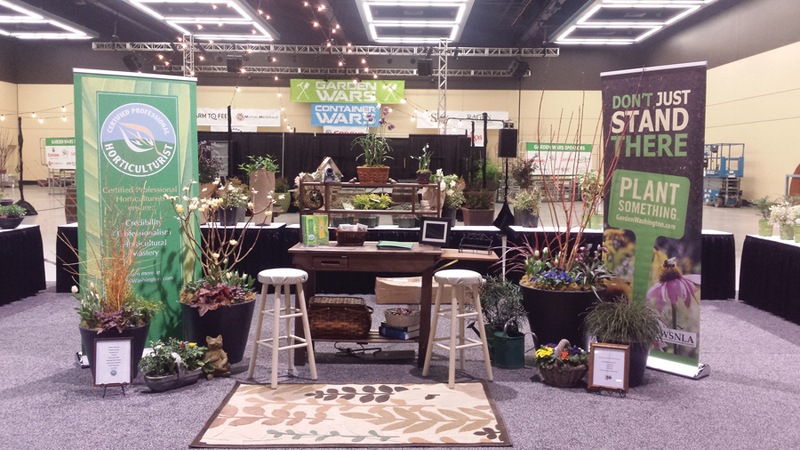 the NW Flower & Garden Show Sneak Peak, hosted by the WSNLA Seattle Chapter. $10/per person paid at the event - cash or check please. If you are working on a garden on this day and have a work pass you may attend for free. No food or drinks provided at this event. CPH credits available. CLICK HERE TO REGISTER FOR THE SNEAK PEEK. Help Educate the Public on Your Certified Professional Horticulturist designation! We know that educating the public about the Certified Professional Horticulturist designation is important to you and your business. Because of this, can you help by staffing the Certified Professional Horticulturist Booth at the 2019 NW Flower & Garden Festival? CPH credit available. CLICK HERE TO PARTICIPATE at the CPH Booth!